F&W's travel experts searched the globe for the year's best eating experiences. 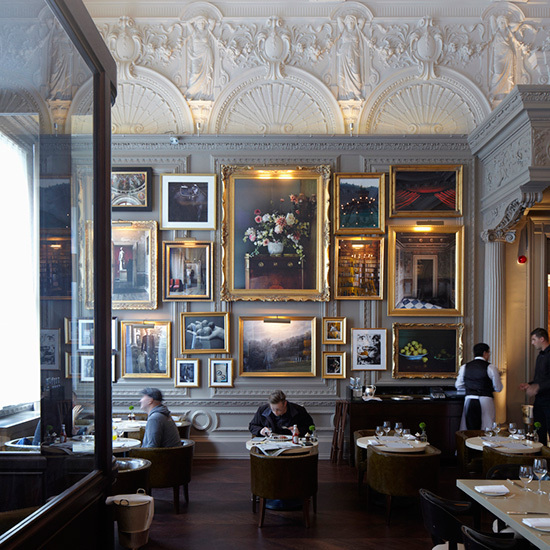 Here, three fantastic restaurants and four exceptional new hotels in London. Berlin-born, Japan-trained chef Oliver Lange adds truffles to sushi and crisped amaranth to beet sorbet with yogurt. Starchitect Zaha Hadid designed the space, inside the Serpentine Sackler art gallery, with her signature undulating glass walls. W. Carriage Dr.; serpentinegalleries.org. Chef Tom Sellers, a 27-year-old Noma and Per Se alum, opened this restaurant a year ago, and now it's one of the city's toughest reservations. The dishes are nostalgic British yet forward-thinking, starting with the already iconic Bread & Dripping, involving a melting candle made of beef fat. 201 Tooley St.; restaurantstory.co.uk. After opening destination spots in the country (Pig & Whistle, L'Enclume), chef Simon Rogan is replacing Gordon Ramsay at this Art Deco icon. 49 Brook St.; claridges.co.uk.